At SAVE A LIFE Corporation, our team of medically trained professionals can provide first aid training and education at all levels. 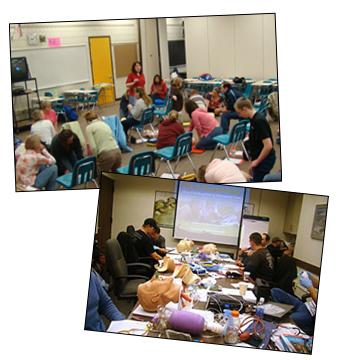 We provide CPR training, AED training, a variety of first aid classes, first responder training and much more. We can provide your staff with on-site first aid training or you can attend one of our many available first aid training classes in Minneapolis / St. Paul. Individuals are also welcome at any of our publicly scheduled training courses. SAVE A LIFE first aid training ensures peace-of-mind. We provide professional paramedics, nurses, firefighters, CPR and First Aid-certified individuals that are dedicated to providing you with the highest quality medical training. If you have questions about any of our first aid education and courses or would like to schedule an on-site first aid training class, please feel free to contact us at any time.